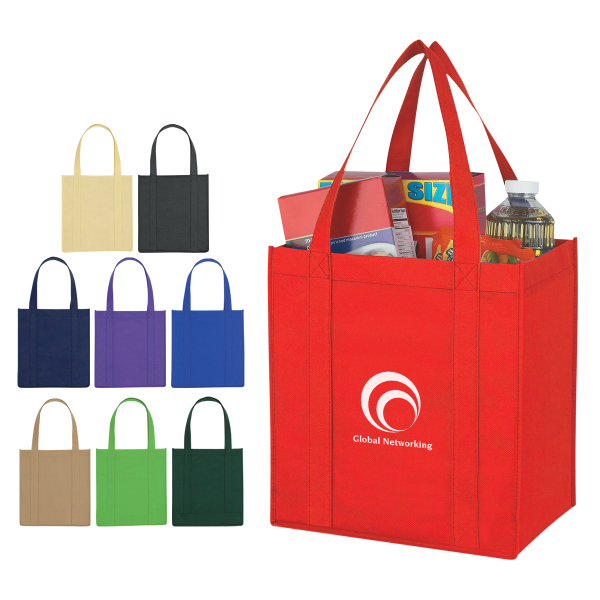 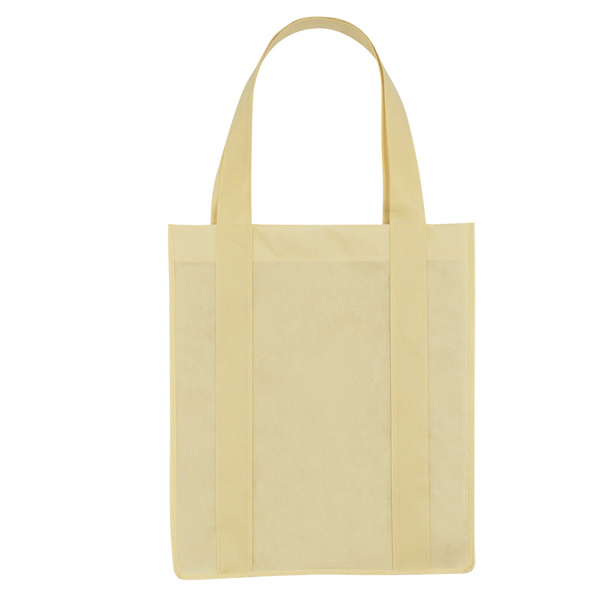 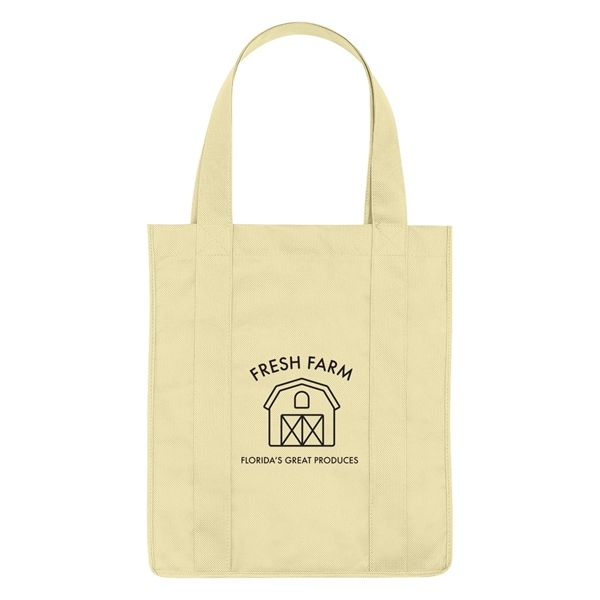 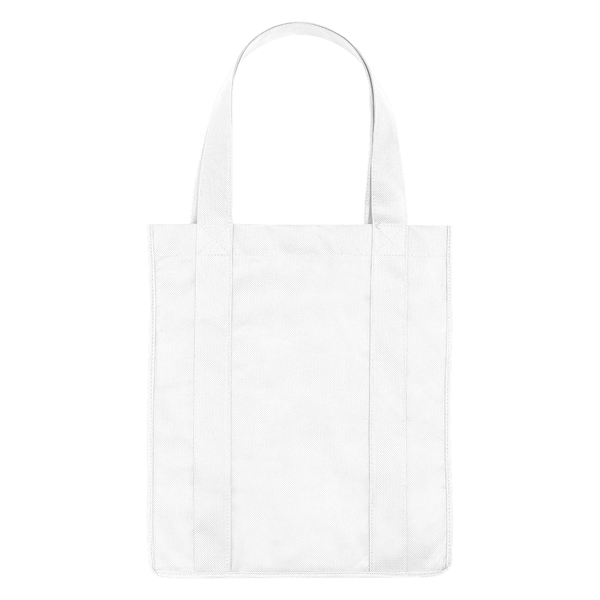 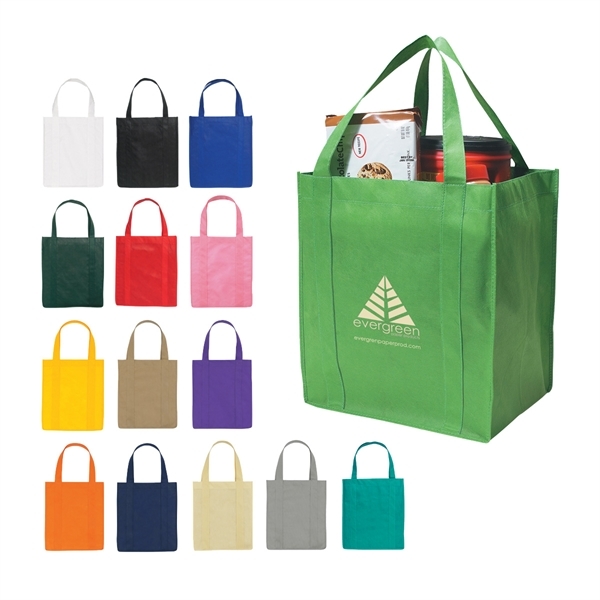 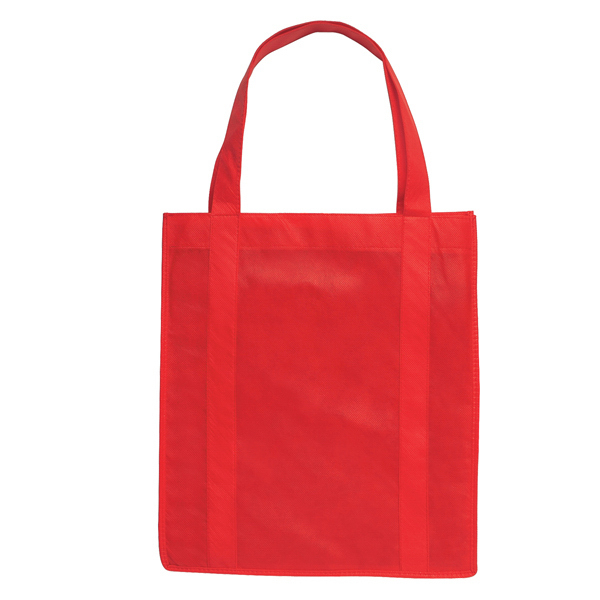 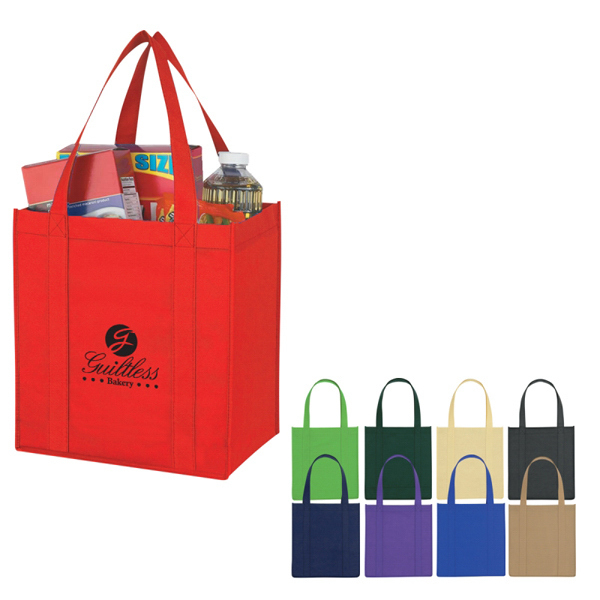 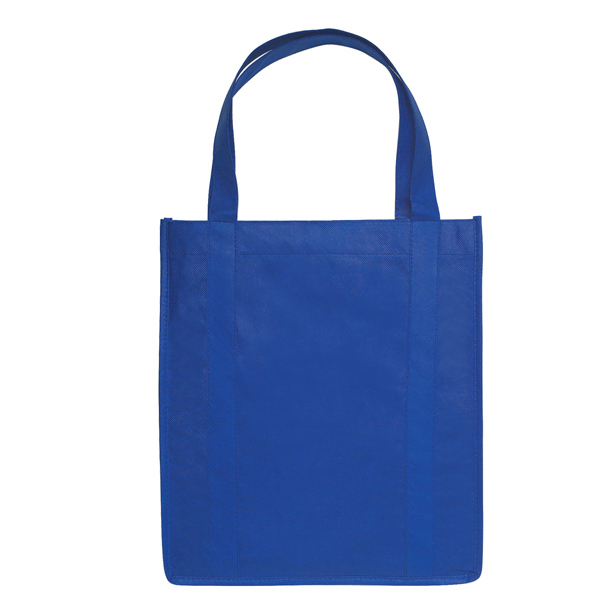 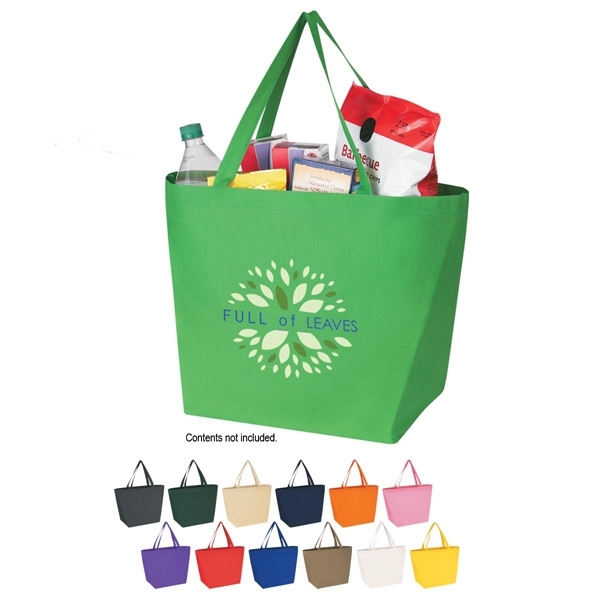 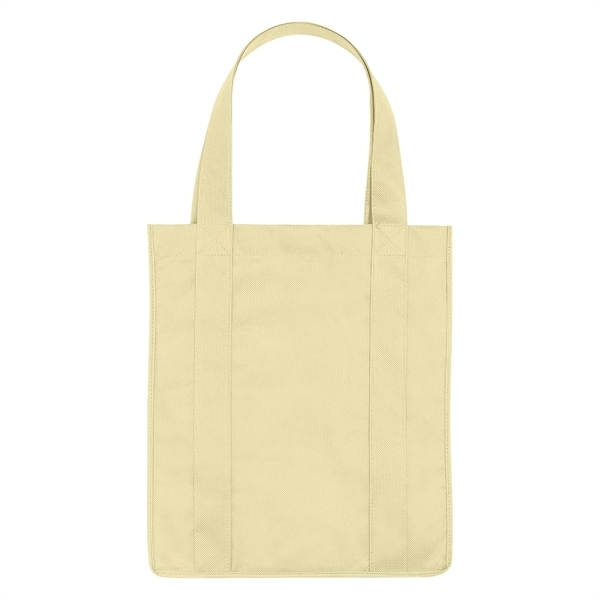 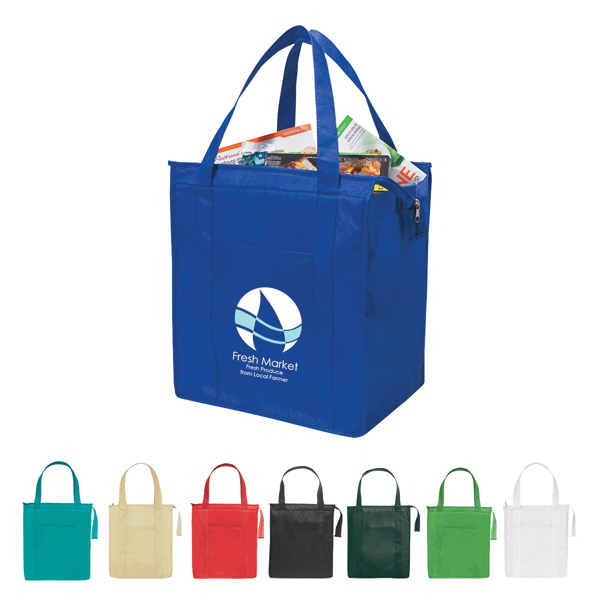 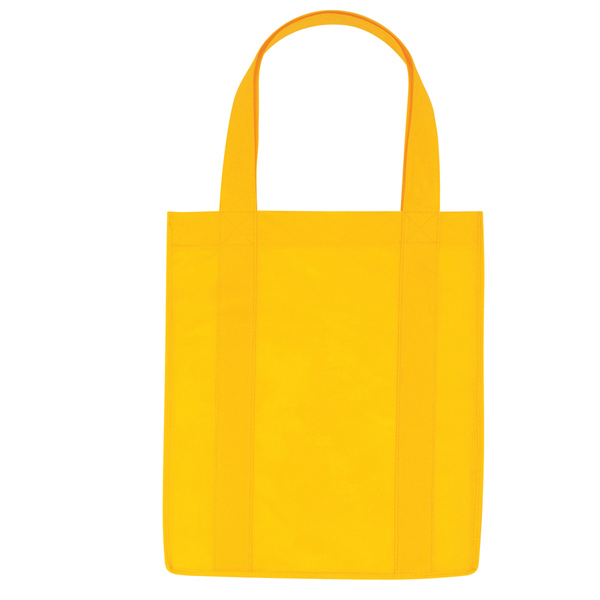 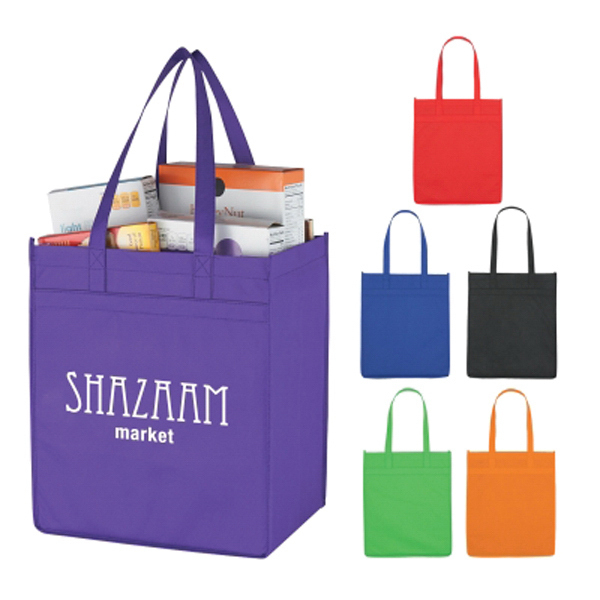 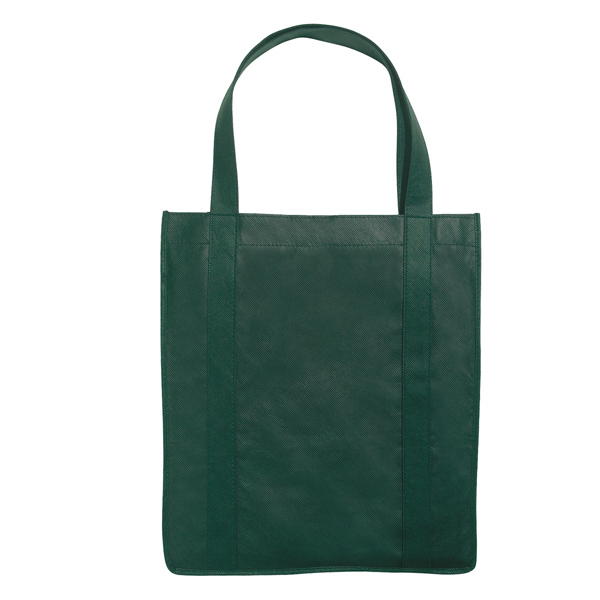 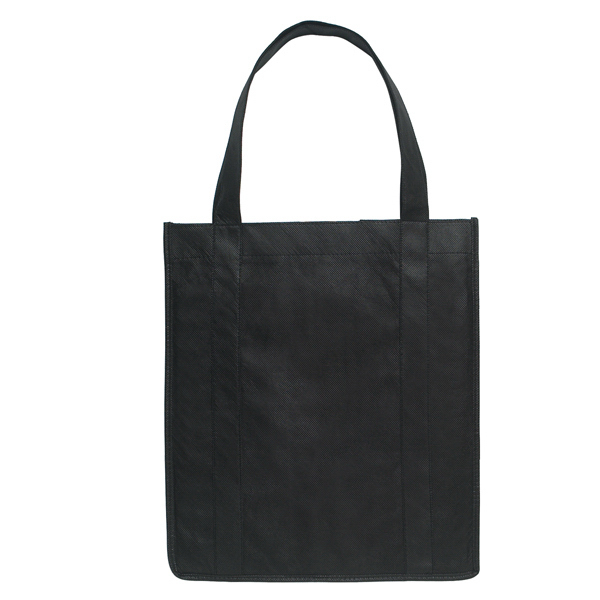 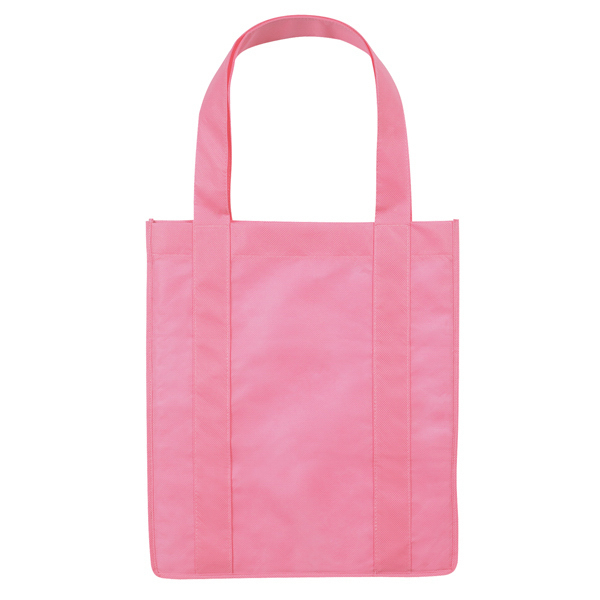 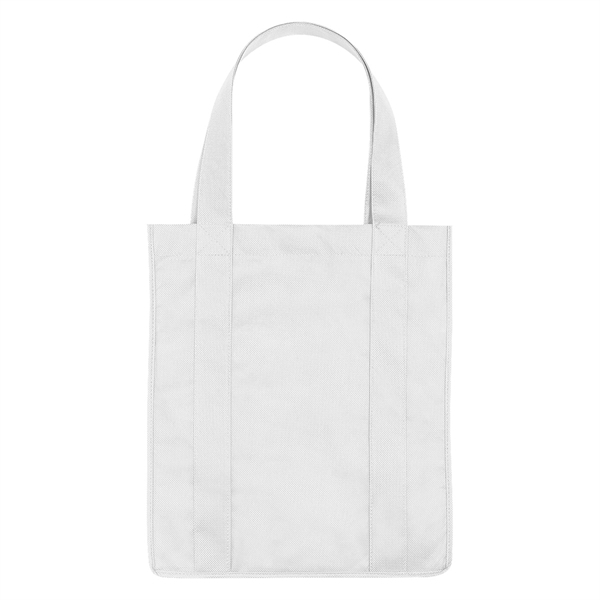 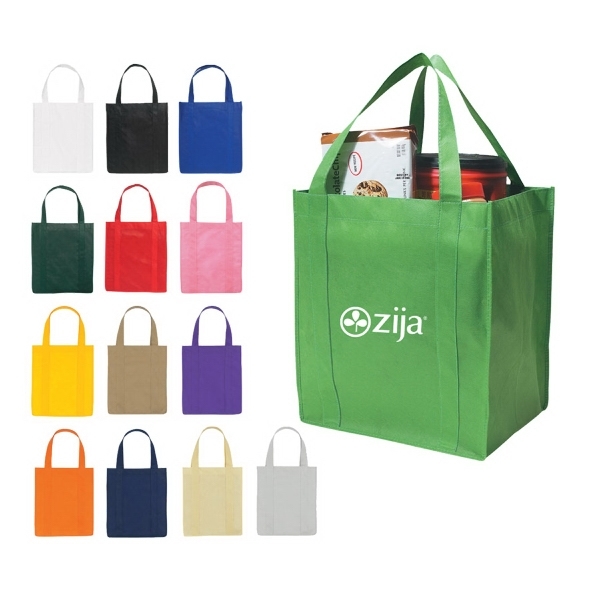 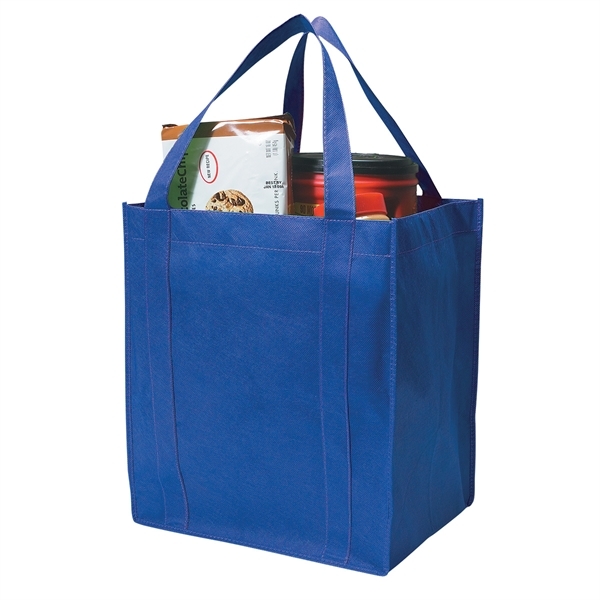 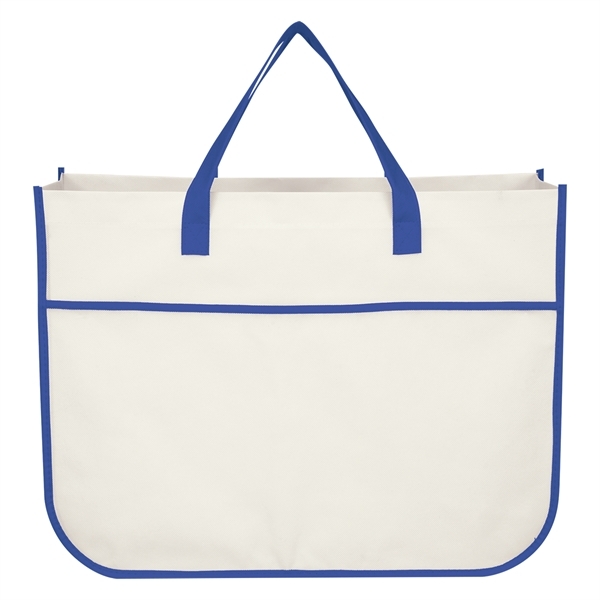 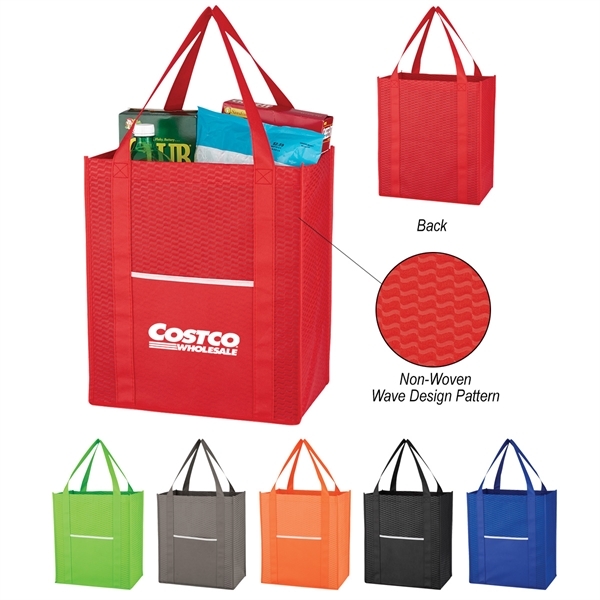 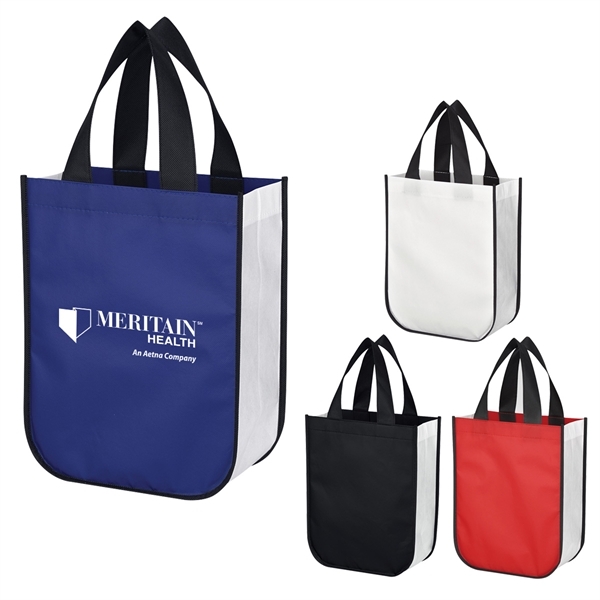 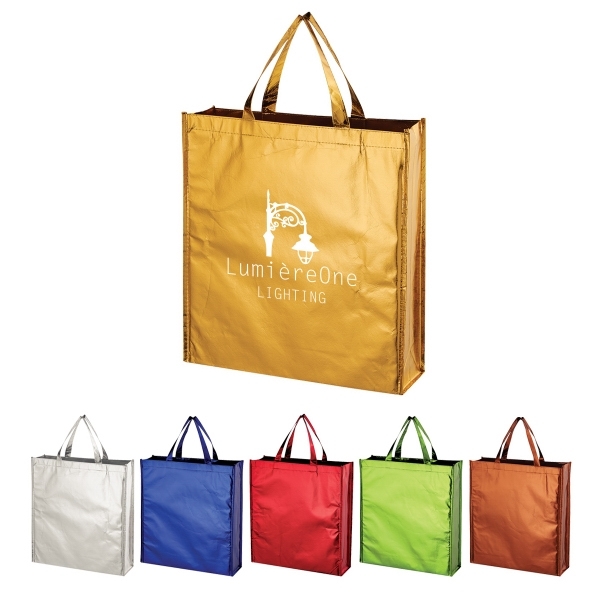 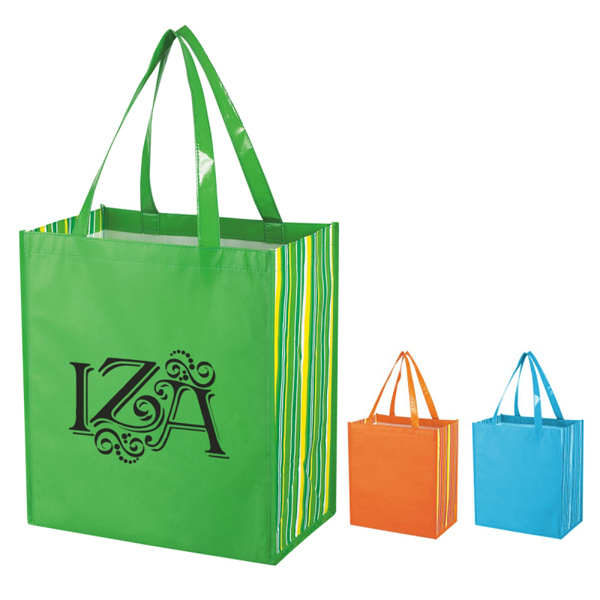 Boost valuable brand awareness with the non-woven shopper tote bag! 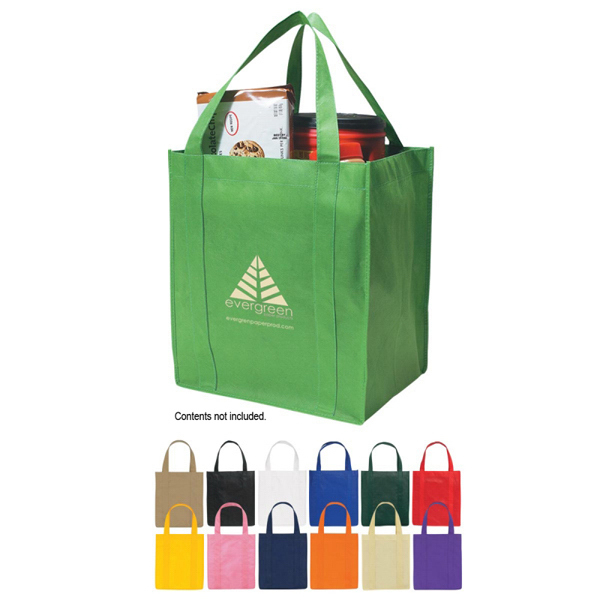 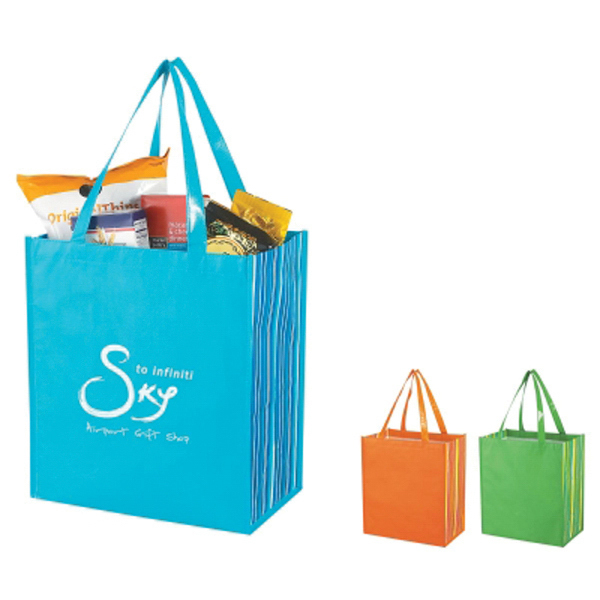 Recyclable and reusable, the shopper is a great promotion for grocery stores, markets, book stores, tradeshows, and much more. 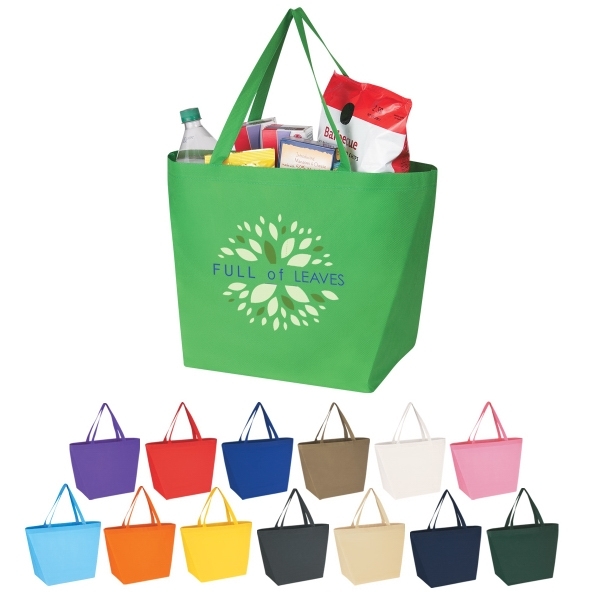 Made of 80 gram non-woven, coated water-resistant polypropylene, this bag features reinforced 20" handles, a 10" gusset, and matching covered bottom insert. 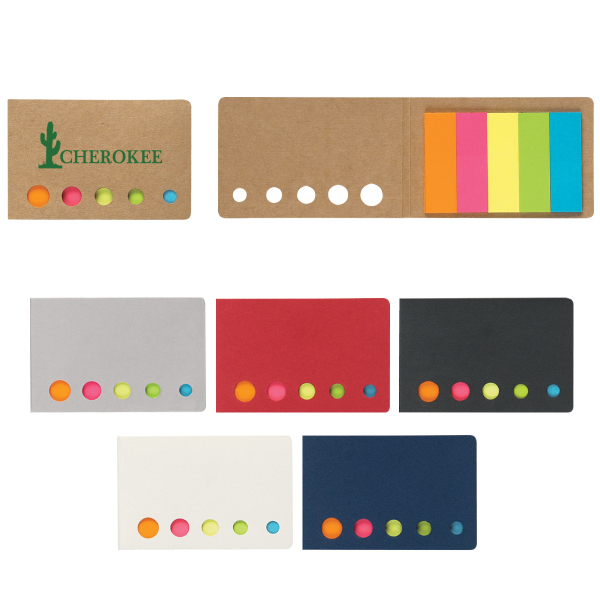 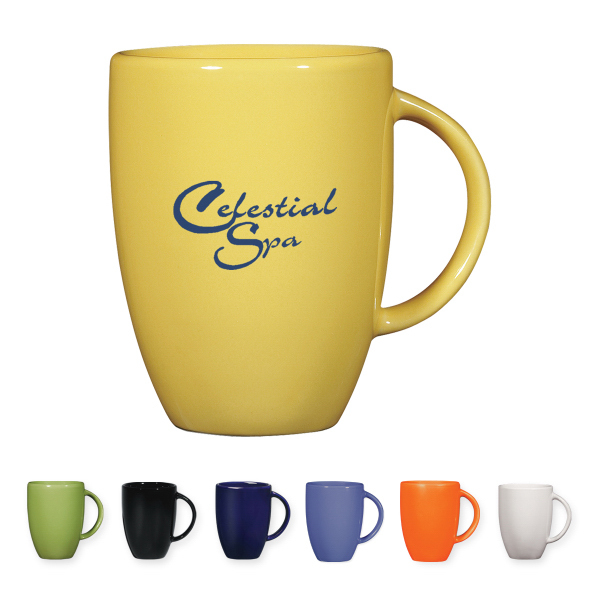 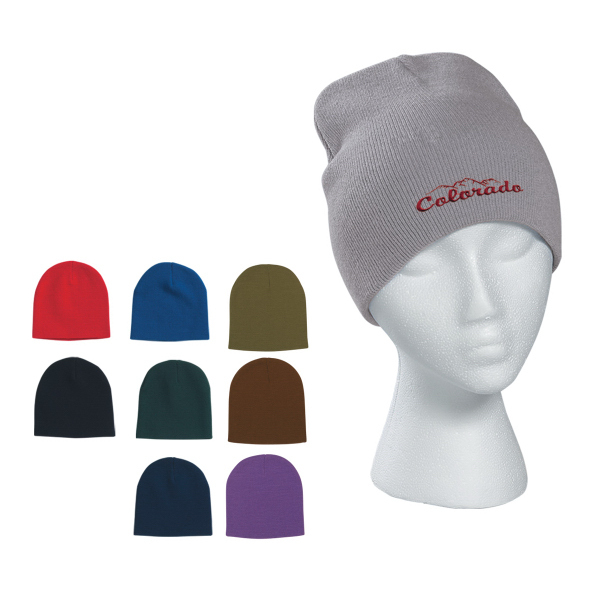 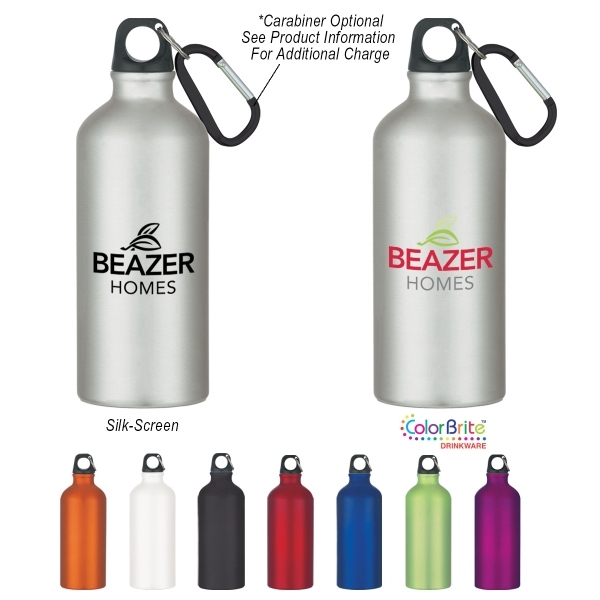 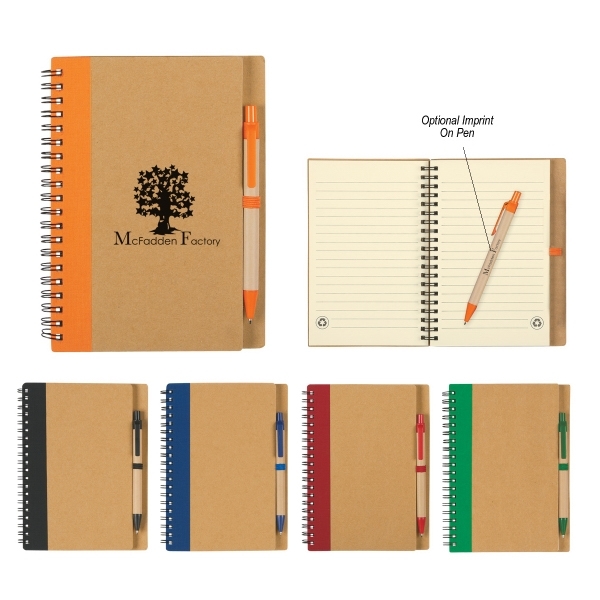 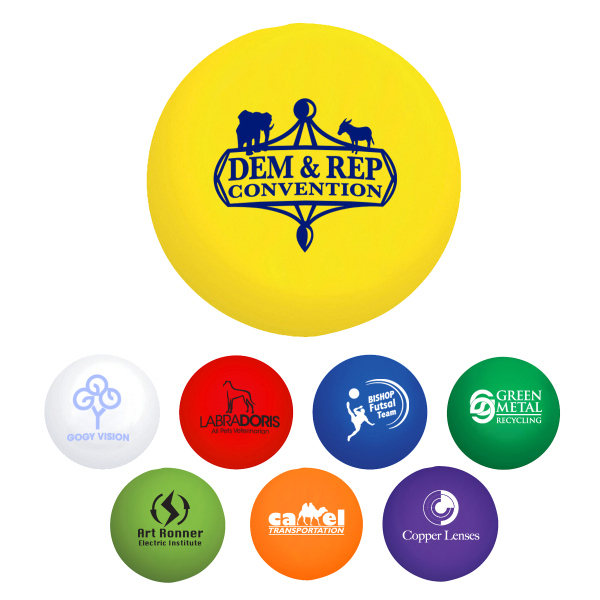 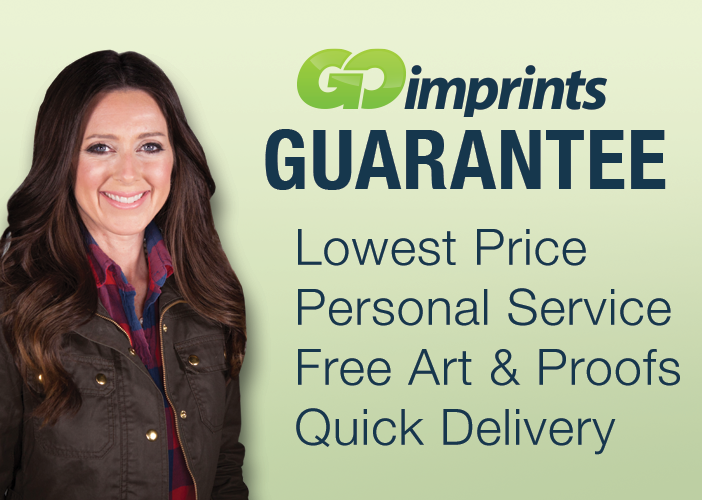 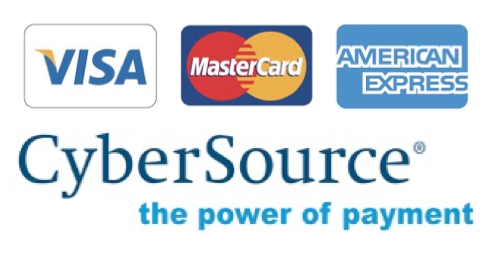 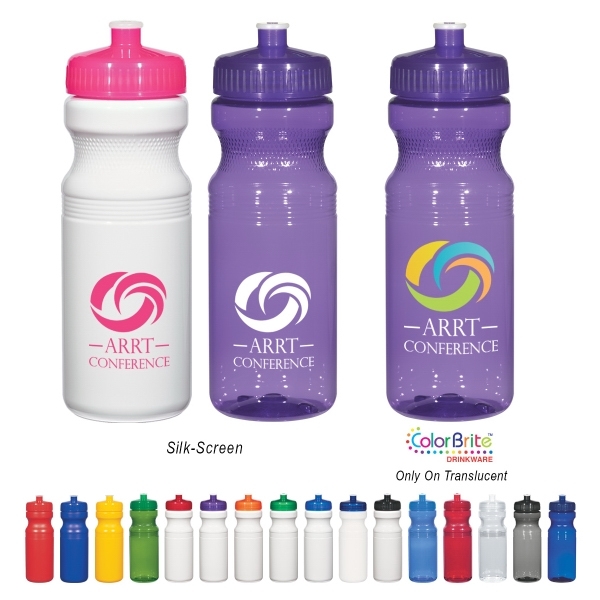 In a variety of color option available, an imprint of your logo or company name is sure to stand out from the crowd. 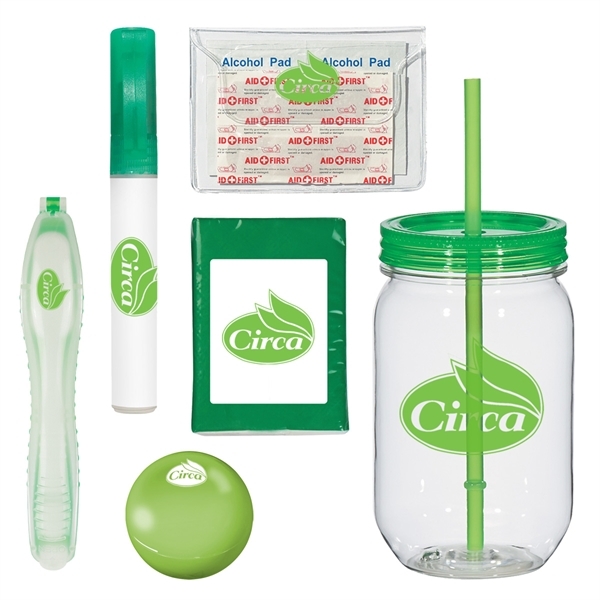 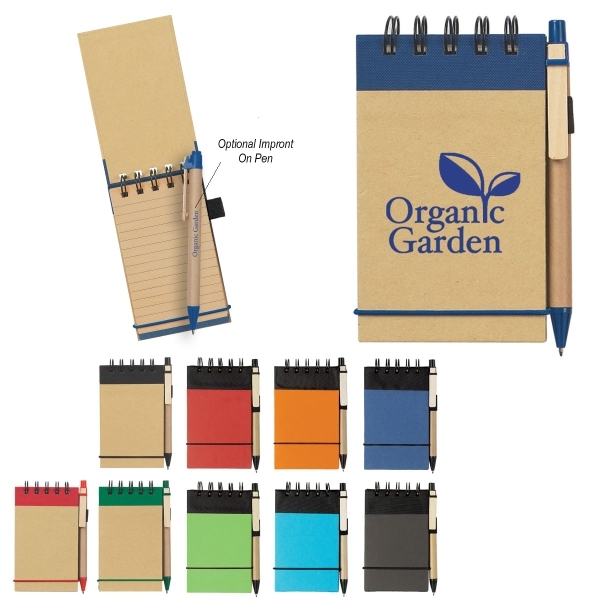 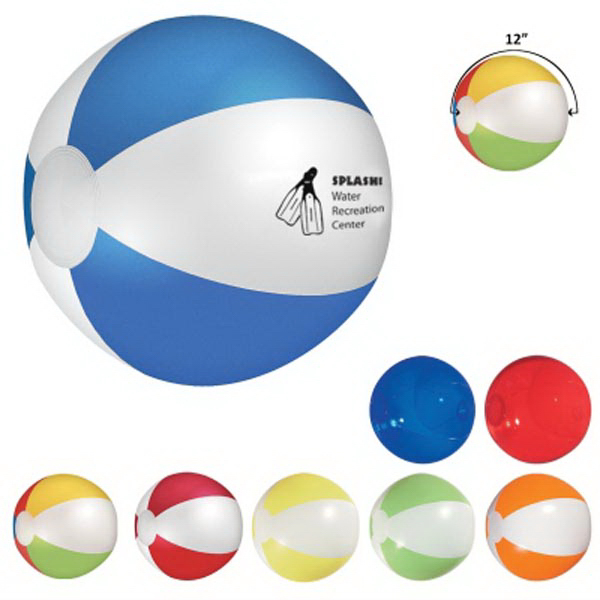 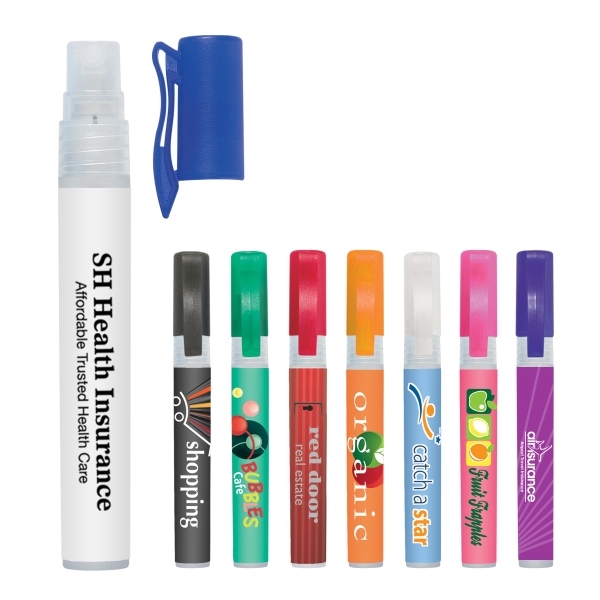 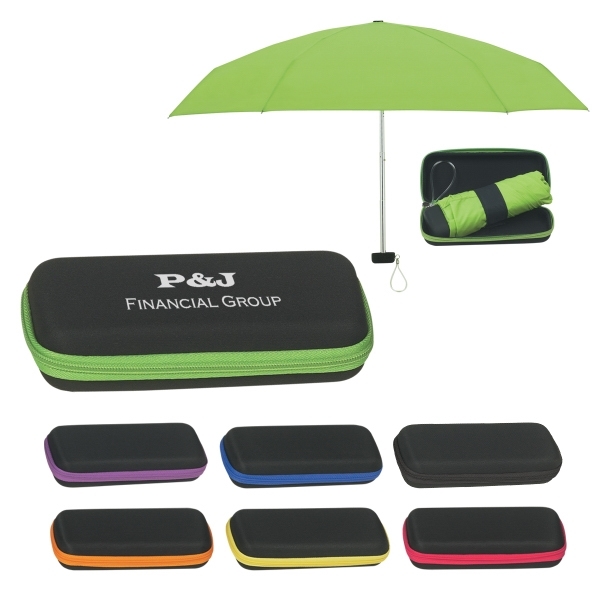 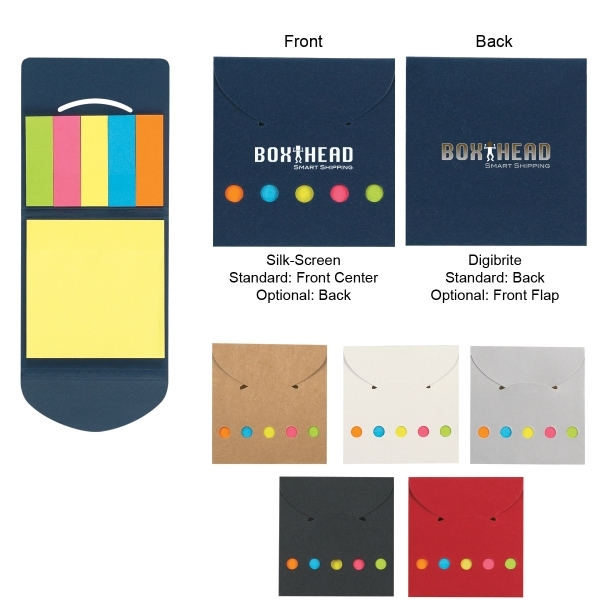 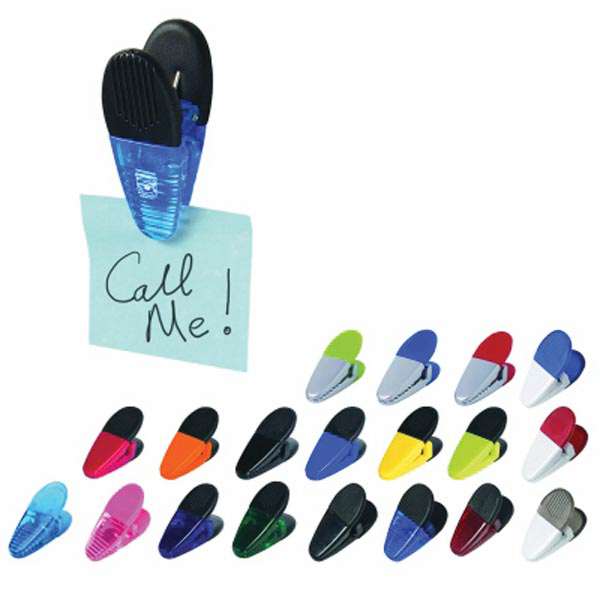 Promote your brand with the help of this fun and practical product!